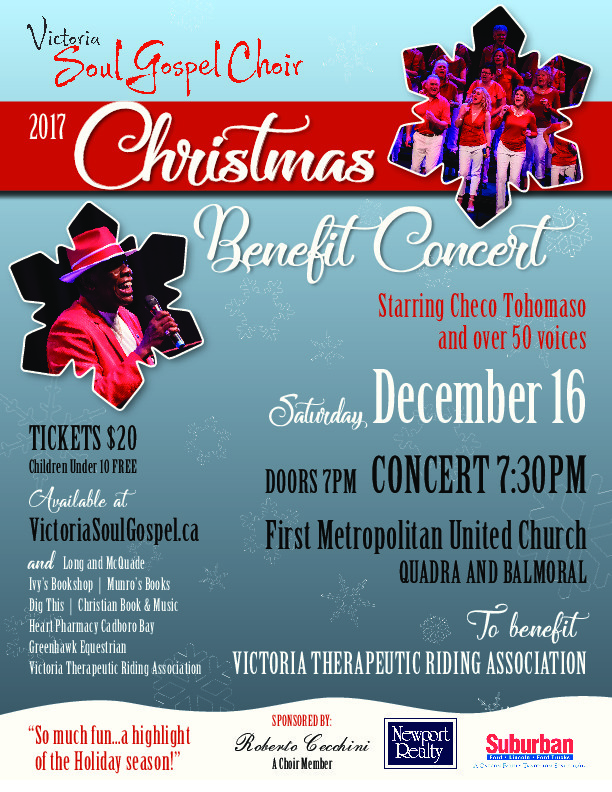 The Victoria Soul Gospel Choir's Christmas Benefit Concert is our biggest event each year. 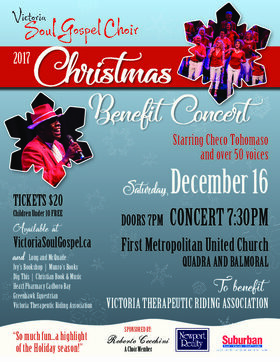 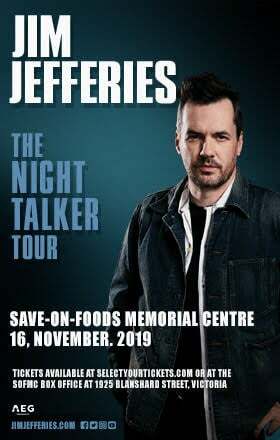 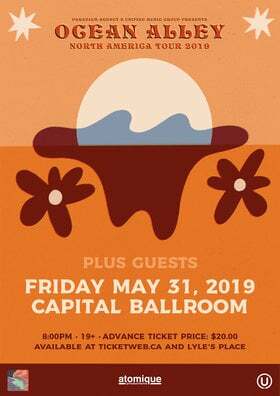 This year's concert is in support of the Victoria Therapeutic Riding Association whose mission is "to provide a therapeutic horseback riding program for children and adults with disabilities that promotes and enriches their physical, psychological and social well-being." 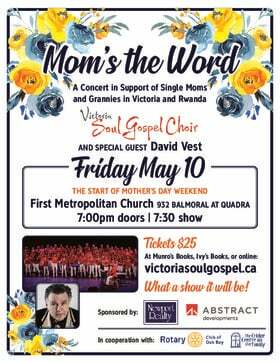 The dynamic and high-energy Victoria Soul Gospel Choir delivers the sounds of Motown, R&B, Gospel, and Reggae in five-part harmony with choreography under the direction of Checo Tohomaso, who has performed with Marvin Gaye, Lionel Richie and the Commodores, bringing that authentic Motown sound to our music.